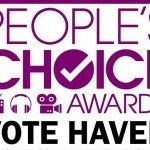 I really feel like Haven is the little show that could. It’s an amazingly written, well cast, and well produced show from top to bottom. Yes, I am probably be biased in some way but I stand by my statement. It doesn’t get the recognition of broadcast shows like Agents of S.H.I.E.L.D. or Once Upon a Time but I think it could hang with the big boys so to speak. I just think we don’t get the publicity other shows do. We don’t get companion books, it’s hard to find us in the news/media, we don’t have merchandise….wait scratch that last one. Haven merchandise can be found at cafe press. But my point still stands. Fans really are the way others learn about Haven. Someone had brought it up a few weeks back, that there aren’t any podcasts for Haven. When I looked it up I saw, they were right. There were several podcasts for shows like NCIS, Scandal, Breaking Bad, Homeland, Person of Interest but nothing for Haven. Then when I looked around for other things happening with tv shows, I saw that all these other shows had after show shows, like Talking Bad, Talking Dead, and Survivor After Show. I figured why can’t Haven have an after show? Probably because 1) It would be 11pm when it happened, 2) the next day is Saturday. People tend to be busy on Saturdays and 3) no one has done one before that I know of. Yes, we have live tweets and I think some people get together in chat rooms and talk but why not try doing something with all the Haven fans? I’m all about making moves, so here is my next one but I’ll need your help. I tried to make it convenient for the most number of people I could. If you can’t join in, it’ll be available for rewatching afterwards. To make it fun, if you have a topic for discussion, or a favorite scene or just want to share what you thought about episode 4×06, email me at msg_me@aimeej21.com and I’ll do my best to read some of them on air. Or if you want to leave your own thoughts, leave me a Discovering Haven Voicemail at (702) 625-0021 and I’ll play some of them live. Everyone is welcome to watch, chat, ask question, and share their thoughts and theories. All I ask is that you be respectful and that there be no bashing of anyone. All fans are welcome. We’re going to try it this Sunday and see how it goes. Again, I am not affiliated with the show in any way, shape, or form. I am just a fan trying to bring fans together over a combined love for Haven. If you have any thoughts, suggestions, or feedback, I am open to it. Again, the Spreecast link is: http://www.spreecast.com/events/haven-4×06-countdown. Spread the word. Let’s see the power of Haven. TO BE CLEAR: THIS IS FOR THE FANS, BY THIS FAN. I AM NOT AFFILIATED WITH THE SHOW. This entry was posted in General, Podcast and tagged Tagged: 4x06, haven, revisiting, spreecast on Friday, October 18th, 2013 .